Scheda Arduino compatibile, pronta per essere montata a pannello. Ha tutte le caratteristiche della scheda RedBoard con i connettori e i comandi su un unico lato. The SparkFun RedBoard Edge is a nifty little rework of the SparkFun RedBoard designed to be panel mounted in your custom project enclosure to allow for an easy way to make a clean, finished looking product. 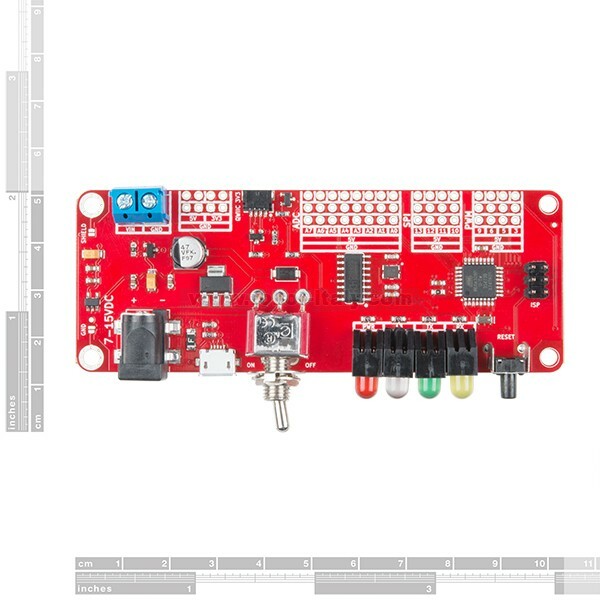 It has all the features of a normal RedBoard and is just as easy to use, even allowing you to prototype on a RedBoard and easily move your project over to a RedBoard Edge without complication. If you want an excellent learning platform for physical computing the SparkFun RedBoard Edge is still a cutting-edge choice! With the RedBoard Edge, we’ve rearranged the original RedBoard to include everything “user-facing” on one side of the board and everything “project-facing” on the other side of the board. On the user-facing side, you will find the 2.1mm barrel jack, a micro USB port, a right angle power switch, four status LEDs (RX, TX, Pin 13, & PWR), and a reset button. Meanwhile, on the project-facing side there is a two port screw terminal, a Qwiic connector, as well as pins that have been grouped by function (PWM, ADC, SPI), with power rails for 5V and Ground running parallel to each grouping. 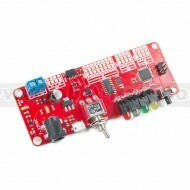 There are also 4-pin power rails for 5V and 3.3V right next to the 5mm 2-pin screw terminal which is connected to VIN through the Toggle Switch on the front of the board. 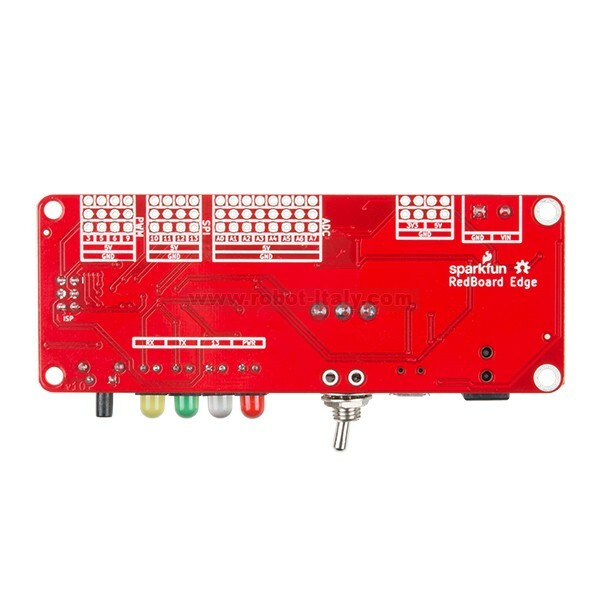 One of the coolest things about the RedBoard Edge is the ability to ground the board to your enclosure through the standoffs next to the barrel jack and screw terminal. You can choose to connect your enclosure ground to either the USB shield or the board’s ground, or both! Like the SparkFun RedBoard, The RedBoard Edge can be programmed over a micro USB cable using the Arduino IDE: Just plug in the board, select “Arduino UNO” from the board menu and you’re ready to upload code. The Edge can handle anything from 7 to 15VDC and you can still power it over USB or through the barrel jack.